Copy of your diploma (if your diploma only states the degree and not the program, include a copy of your official transcript). For Stem Degree List click here. Complete applications will include the four (4) forms listed in STEP 1 (JSU Global OPT Job Reporting Form, Student Statement of Responsibility, I-983, I-765) AND STEP 2. Allow 7-10 business days for processing. 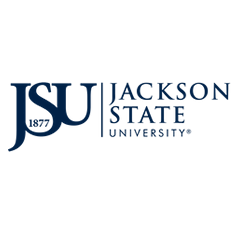 A JSU Global ISSS advisor will review your application and issue a new, updated I-20 with a STEM OPT Extension recommendation printed on page 2. BE SURE SIGN PAGE 1 once you receive. Students must apply for the 24-month OPT extension prior to the expiration of the first 12 months of “regular” OPT. The application must be received by USCIS prior to the expiration date of the first OPT period EAD in order to be properly (timely) filed. USCIS will not accept I-765 applications for STEM extensions any earlier than 90 days before the current EAD expiration date. If your I-765 mailing address is outside of Mississippi, review the USCIS mailing instructions to find the correct Lockbox location. Click OPT 24-Month STEM Extension Guidlines for packet.